Up to a 5 year coating guarantee on standard finishes and a LIFETIME coating guarantee on Nanocoast 316 grade Stainless Steel finishes! 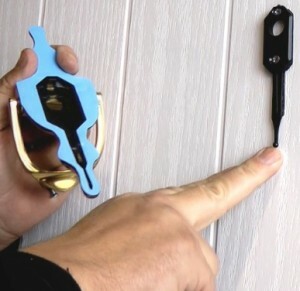 Make unsightly fixings on the back of your door a thing of the past with the MAX6MUM SECURITY self adhesive door knocker! 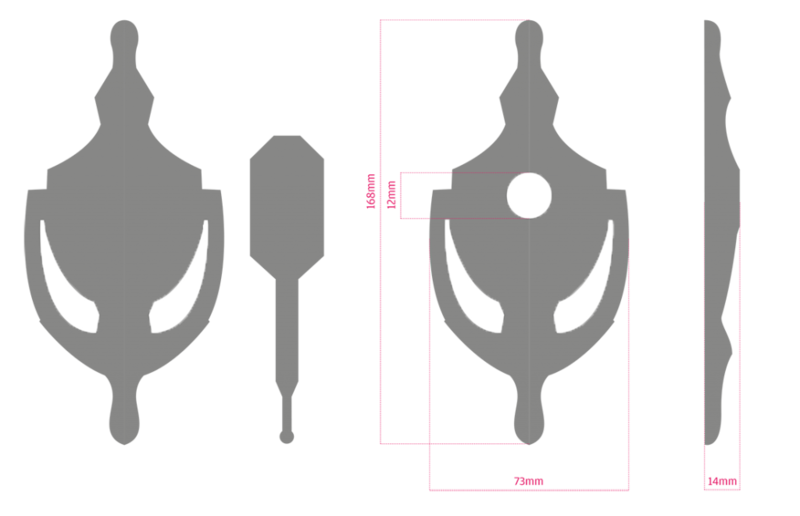 The self adhesive door knocker works by having 2 parts – the actual door knocker, and a Patented ‘lollipop’. What’s fantastic about these hidden fix Victorian door knockers is that they are developed to be fitted with ease by anyone (and they even come with step by step fitting instructions). Both the self adhesive door knocker and ‘lollipop’ feature an ultra strong and industrial closed cell foam adhesive, which once set will be nearly impossible to pull off the door. 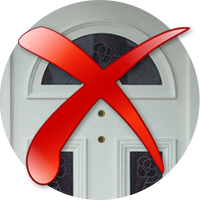 To attach the hidden fix door knocker, first select where you would like it to go on your door. Take the ‘lollipop’ and peel off the tape on the back and push onto the door. 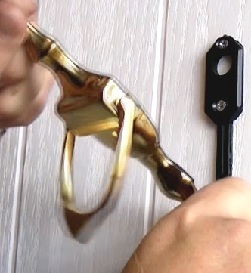 To secure this further, the ‘lollipop’ is secured to the door using 2 small screws which leaves minimal damage to the door, and can easily be covered up if you decide to remove the door knocker. On the ‘lollipop’ is a location point, which is where the self adhesive door knocker attaches to (there is also a fixing point on the door knocker). 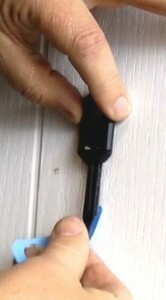 Simply locate both fixing points and peel off the tape on the door knocker. Match up the fixing points and press the door knocker onto the ‘lollipop.’ It will click into place once attached correctly. Simple leave the adhesive to set for 24 hours and the door knocker will be fixed to your door, and be extremely difficult to pull off. 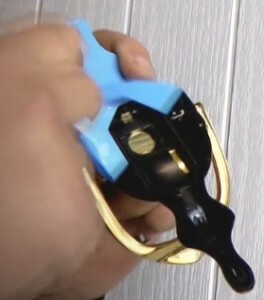 As well as acting as a way to secure the hidden fix door knocker to the door, the self adhesive tape also acts as a water sealant, and prevents water from getting behind the door knocker. This eliminates water damage and rot from water. The polished gold, polished chrome and satin stainless door knockers have been developed from 316 grade stainless steel, and is part of the Nanocoast range of products. Each product in the Nanocoast range has been spray tested for 2,000+ hours to ASTM B117 to ensure durability, coming with a LIFETIME guarantee anywhere in the country. 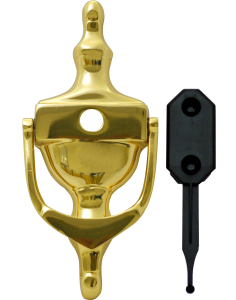 This door knocker is ideal for coastal locations, where the salt in the sea air usually pits and corrodes door hardware products made from brass and zinc, and also in locations which are close to highly populated industrial areas! 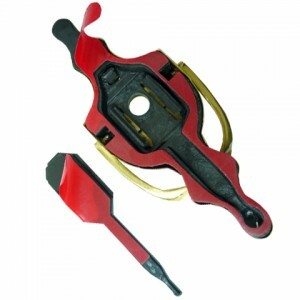 Suitable for all types of doors including uPVC and composite doors the Victorian Urn self adhesive Door Knockers are a perfect choice for anyone looking to add class and tradition to their overall front door design and home exterior. 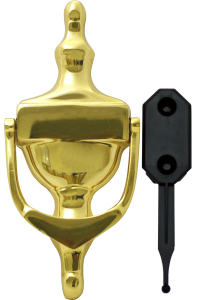 Though with doorbells door knockers aren’t used as regularly as in the past they are still an essential for every traditional home to complete the overall exterior look. 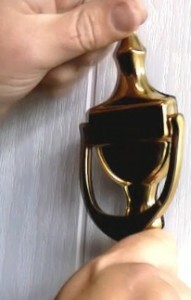 If you decide that you want to replace the door knocker, or not have one on there at all, it is very easy to remove. 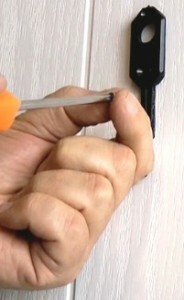 Simple take a stanley knife and cut around the tape of the door knocker. 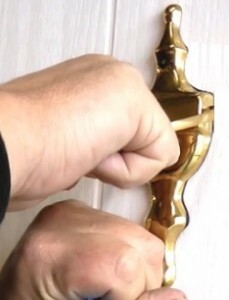 This should then allow you to pull the door knocker off the ‘lollipop.’ Unscrew the ‘lollipop’ from the door and use a stanley knife again to cut around it and pull it off. To remove the excess tape, simply use a cleaning agent, and the tape will peel away from the door, leaving you door looking as good as new! At MAX6 we are constantly striving to improve on the products we already supply as well as develop new, pioneering ranges and practical product solutions. 4. The products are not put in to doors, window frames or door panels that are closer than 25 miles (in a direct line) to the nearest coast. If any installation is within 25 miles of the coast then MAX6 will only guarantee their Nanocoast 316 grade stainless steel finish products against tarnishing. 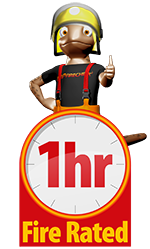 We guarantee that the above products will not fail mechanically during the 3 year guarantee period subject to the conditions outlined above.